Professional production of the seal is the goods loaded into the container and correctly closed the box door, by a specific person to exert similar Yu Ying equipment. Seals according to the imposition of personnel can be divided into different categories, such as customs clearance, commodity inspection seal and business seal. After the seal is locked, it is generally not allowed to open arbitrarily, each seal has only a unique number identification. In the case of complete container appearance, the container door is properly closed, the seal is normally locked, it can be proved that the container in transit without private kaifeng, box in the case by the packing of the person in charge of supervision. In particular, the seal of the customs, if taken apart, is liable to the law. 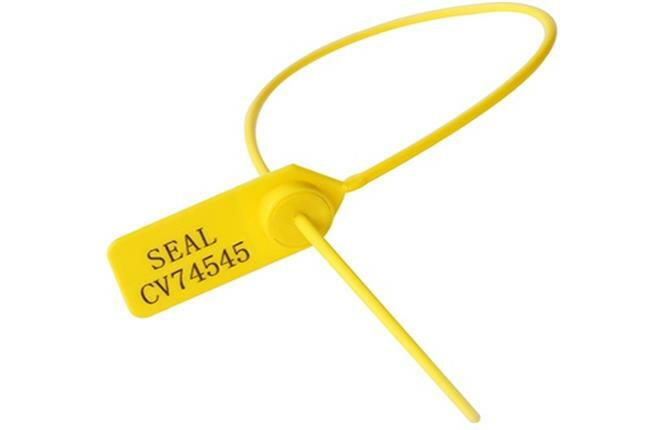 A seal is actually a seal that is used to seal a variety of containers, once sealed, unless forced to open, otherwise it can not be easily opened, so the seal is like the goods affixed to the seal, not allowed to open, and some will also involve legal issues, such as customs seals on the Seals, is never allowed to open, or it will lead to a breach of the law. And with the technology is not the development of progress, lead seals are constantly upgrading, and its update speed with the speed of the development of science and technology synchronized. The prototype of the seal is used in ancient times to seal or seal the case, the seal is written on the word, without permission is not allowed to open, the truth is the same. Development later, and appeared plastic seals, it is made of plastic, mainly composed of two parts, one side is a square cut, which contains an elastic plastic button, and the other side is plastic seals, so that can achieve a good binding effect. And with the 21st century, the continuous development of science and technology, and the emergence of digital seals, it is in the original seal based on the development of a new seal, it is because of the integration of electronic chips, so have a good anti-theft function. Seals, in the logistics and transport and various safety protection industry, with control risk, reduce losses, play a key role in risk prevention.